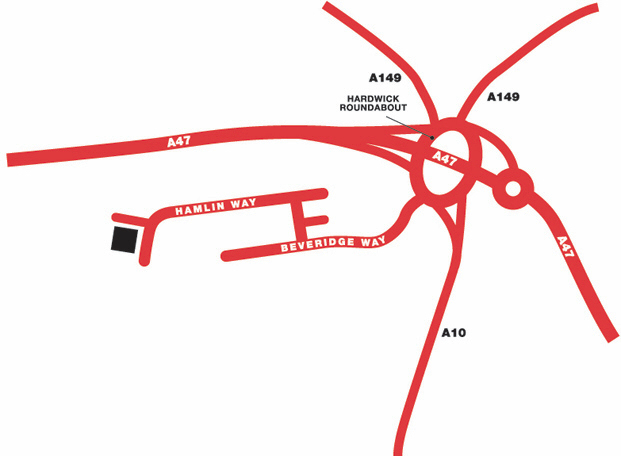 Our facility in Kings Lynn enjoys an excellent location just off the A47 to the Midlands and the A10 to Cambridge it is easily accessible for people in the Hunstanton, Heacham, Downham Market and Wisbech area. All rooms are easily accessible by car and covered by 24hr CCTV surveillance and Redcare alarm systems. Excellent Location â€“ Just off the A47. Unit A, Hamlin Way, Hardwick Narrows Industrial Estate, Kings Lynn, PE30 4NG.